Historic scenery dating back to the 17th and 18th centuries are one of Kurashiki’s world-class charms surviving even recent natural disasters. Kurashiki City, located in Okayama Prefecture, was a flourishing town during the 17th and 18th centuries, a time when the trade of goods thrived along its canals. Today, the Kurashiki “Bikan (beautiful scenery)” Historical Quarter makes a fantastic tourist destination. Lining up eave-to-eave along these streets are lattice-windowed traditional houses and storehouses, echoing memories of 17th century Japan. 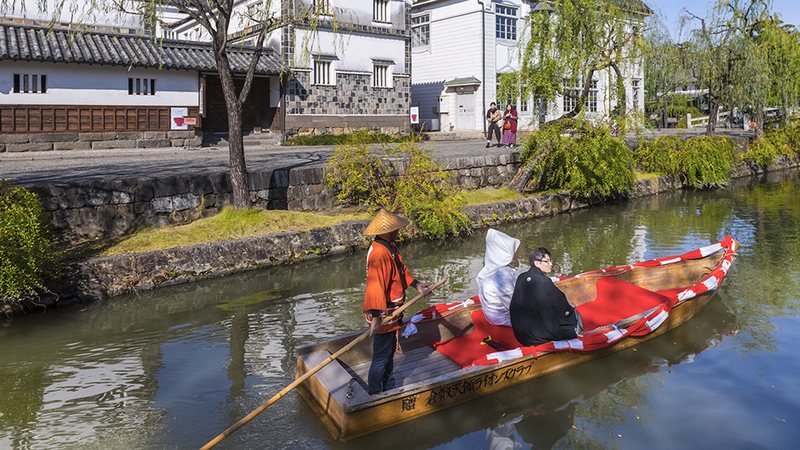 Tourists can take a riverboat tour on the Kurashiki River flowing through the Kurashiki Bikan Historical Quarter. 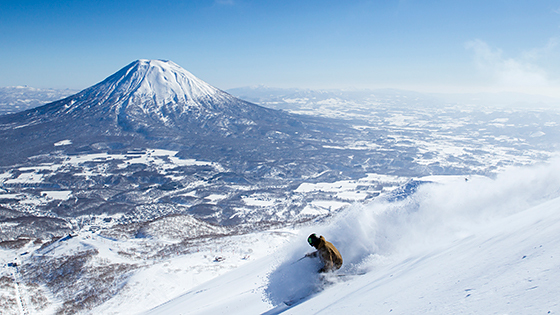 One place that is highly popular with tourists is the area along the Kurashiki river. It would be hard to find a better place for holiday snaps than this area, which includes Ohara House, a nationally designated Japanese Important Cultural Property, and warehouses with namako-patterned tile-and-plaster walls. Here, one can see overseas tourists taking photos of quintessentially Japanese scenery composed of a riverboat drifting past swaying willows with charming old buildings in the background. 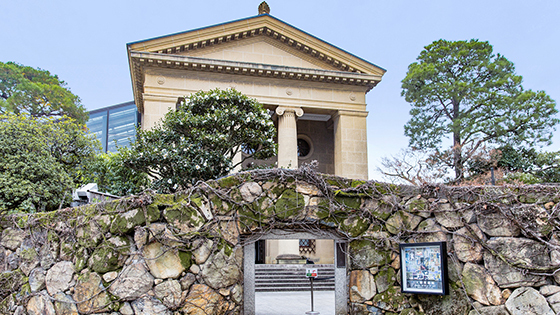 In this location, the Ohara Museum of Art, one of Japan’s first private museums, dedicated mainly to Western Art opened its doors in 1930. It collects mainly Western Art such masterpieces as Annunciation by El Greco, Delightful Land by Paul Gauguin, and Waterlilies by Claude Monet. Western-style Main Gallery of the Ohara Museum of Art is elevated one meter above ground level, showing that flood awareness was strong even back then. “Since long ago, Kurashiki has been a trading town where both people and goods have flowed in and out, and this has shaped it into the culturally rich city that it is today. 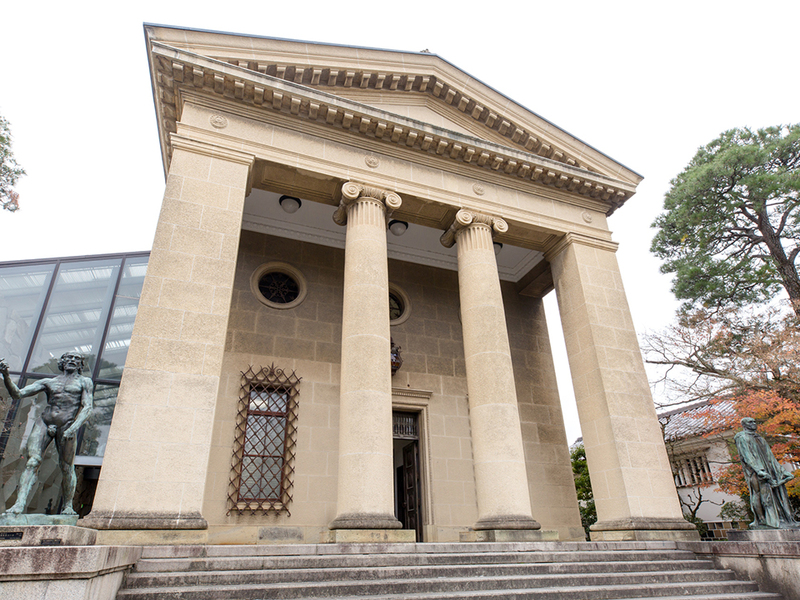 The Ohara Museum of Art also exhibits a wide range of artwork from Western art and folkcraft to Japanese contemporary art, where visitors from any country can enjoy,” says chief curator and program coordinator, Hideyuki Yanagisawa. 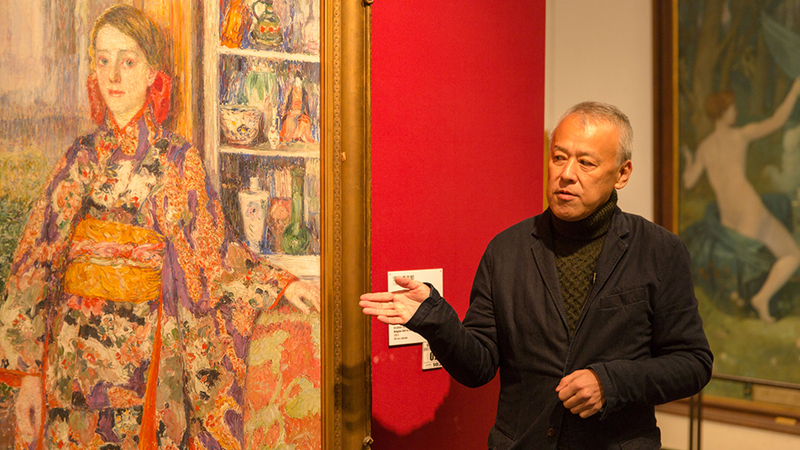 Chief curator and program coordinator, Hideyuki Yanagisawa talks in front of a work by Torajiro Kojima who is remembered for helping build the museum’s Western Art Collection. 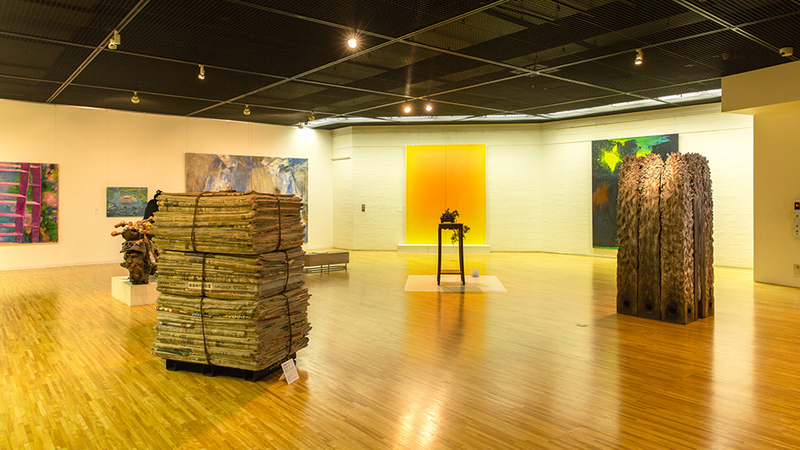 The Ohara Museum of Art has also actively supported contemporary artists and the permanent exhibition includes many of such works, which are popular among foreign visitors. 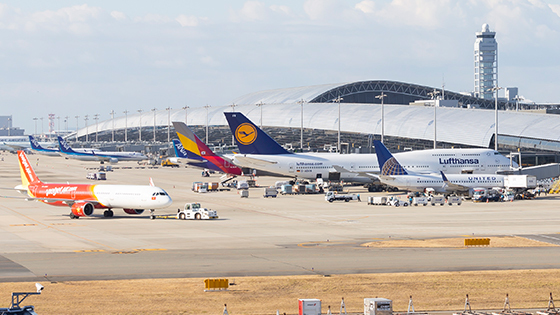 In July 2018, a once-in-a-century heavy rain struck western Japan. Parts of the Kurashiki area were inundated with flooding, and social media lit up across Japan with cries of concern over the Ohara Museum of Art’s collections, which attract much interest for Kurashiki’s tourism. 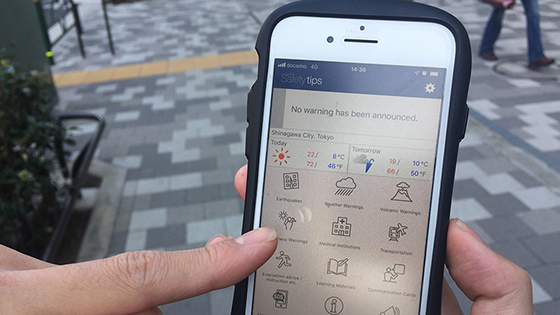 This public attention shone a light on the measures that the museum had taken to protect the collection using risk assessment based on records of flooding in Kurashiki’s history. “The museum is in a flat, low-lying area close to a river. 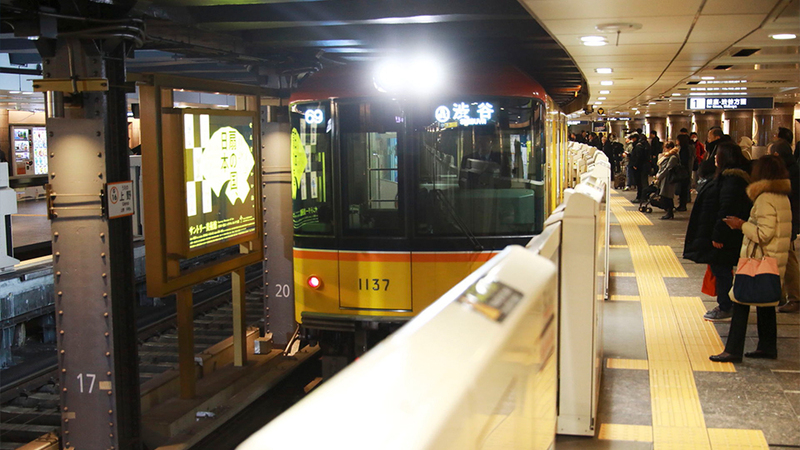 Therefore, to be ready should flooding occur one day, we took the appropriate measures. 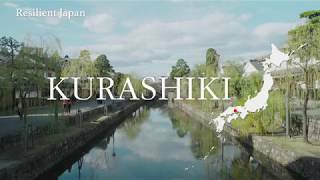 Looking back at the local history of Kurashiki, we are able to find many place names associated with water, and many old temples still hold traces of past floods. 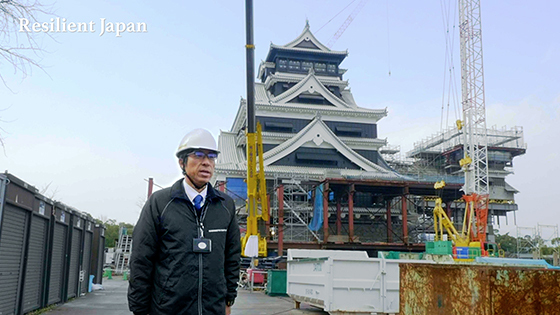 Based on Kurashiki City’s hazard map, we built a warehouse in 2007, which was erected a two-meter dike wall to prevent water inundation,” Yanagisawa explains. 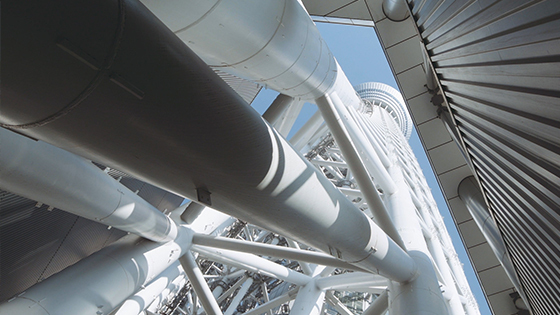 One month after the heavy rain, the museum held a free-admission day so that people affected by the flooding could come and have their spirits lifted by the artworks. The museum has also been helping sufferers through such activities as fundraising. 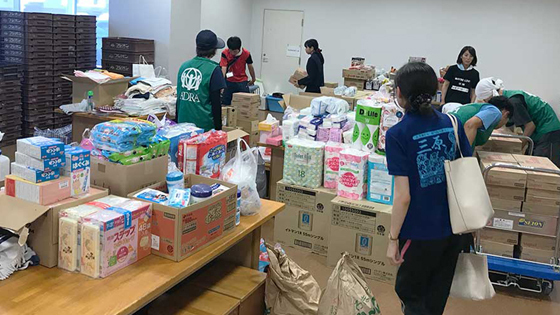 Protecting artworks from disasters and using the power of culture to assist with local recovery efforts—these actions by Kurashiki’s very own Ohara Museum of Art have gone a long way toward providing encouragement in the disaster area.